Karen has been with the MHC since 2007. She was Administrative Assistant until May 1, 2018, when she became Office Manager. 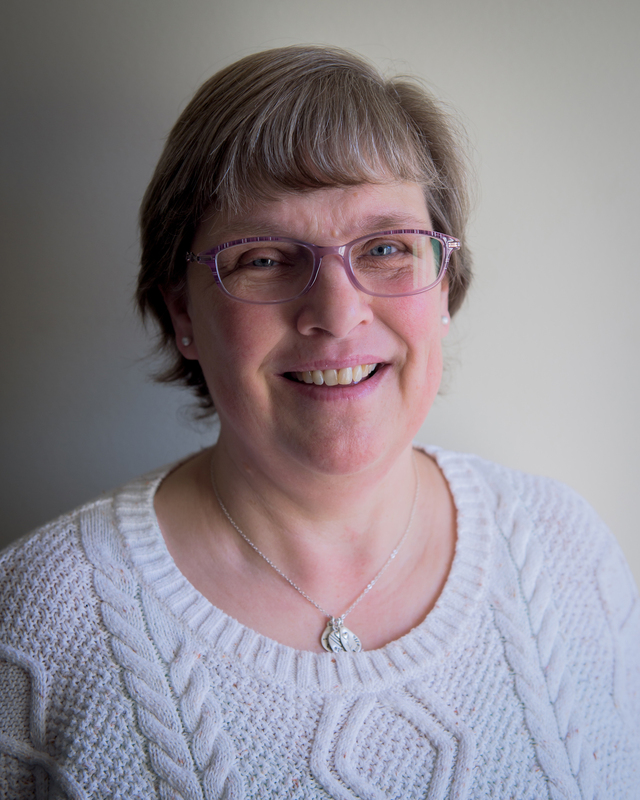 In addition to keeping everything running smoothly at the office, Karen coordinates the Portland Seminar, is responsible for registration and book logistics for Winter Weekend as well as registration for other public programs. Karen grew up in the Northeast Kingdom of Vermont. She graduated from the University of Vermont in 1981 with a degree in Secondary Education-English. Karen has three daughters and loves being Gramma to three precious granddaughters. Karen enjoys knitting, reading, jigsaw puzzles, quilting and the beautiful Maine coast.